XPRI NS is a power-packed non-linear editor (NLE) for Windows that’s uniquely flexible, cost effective and easy to use. Ideal for news, sports, magazine programmes and other high-end editing tasks, XPRI NS puts fast, intuitive editing into the hands of freelancers, journalists and craft editors alike. Resilient, responsive and reassuringly stable, XPRI NS is a self-contained software application that runs on standard PC hardware. With no costly recurring licenses needed, XPRI NS provides an exceptionally attractive environment that scales readily from a single-seat editing to tightly, integrated collaborative teams. Fast, simple workflow comes first with XPRI NS – cutting training requirements and driving down ownership costs even further. It’s easy to personalise the intuitive GUI to suit any editing style. Customise buttons and keyboard shortcuts; then size and place source viewer, master viewer, timeline and other windows. Edit intuitively with PC and mouse, or add optional hardware controllers for jog/shuttle, effects control bar and audio faders. XPRI NS is a perfect partner for the advanced workflow capabilities of Sony XDCAM – the world’s leading professional non-linear acquisition system. The editor seamlessly handles full-resolution/proxy XDCAM content and metadata, helping you get completed projects to air faster than ever before. It’s easy to scale XPRI NS to XPRI Team for true collaborative editing and easy project sharing. There are no costly servers or extra hardware needed: simply network client stations and away you go. You can also extend the system’s capabilities by adding low-cost shared storage to enhance capacity and performance. As your needs grow even further, XPRI NS also offers the perfect entry point to larger-scale network production workflows. Migrate step-by-step to the benefits of Sonaps using XPRI NS as an editing client within a larger Sonaps system, protecting your initial investment by re-using all the hardware and software. You can’t afford to waste time when you’re facing client deadlines or need to get on air. XPRI NS offers a fast, stable, dependable editing environment that effortlessly keeps pace with the most urgent projects. XPRI NS offers extensive options to personalise your editing environment. Customise button functions; map your favourite shortcuts to the keyboard; size and place source viewer, master viewer, timeline and other windows to suit any editing style. Settings can be saved for individual users and automatically loaded for each session. Forget about formats and resolutions. Effortlessly combine multiple media types – HD/SD and High-Resolution/proxies – within a single project. Start editing without delay while content is still being ingested from HD/SDI sources. When expanded to XPRI Team configuration, multiple users can concurrently access and edit any live content being ingested by any other editing station on the team network. Go straight to air with no uncertainty. Make your edit and then immediately start playout from the timeline – it’s a big advantage in pressured on-air situations when you need to be first with the news. XPRI NS is the perfect companion for XDCAM. Edit content directly from disk or card with no need to ingest first – saving time and boosting efficient use of media storage. 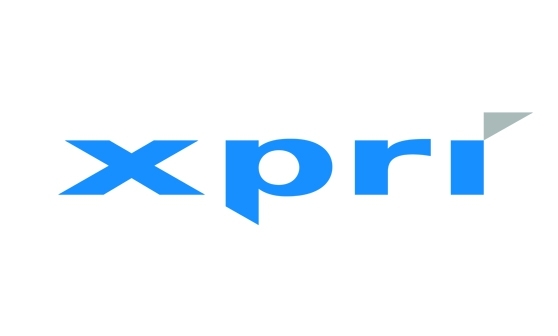 XPRI NS offers a high-speed NLE platform for multi-format, mixed resolution editing and natively supports most third-party broadcast and professional file formats - so no transcoding delays. With XPRI NS you’re a simple step away from true collaborative editing for small workgroups. Easily connect XPRI NS editing stations, using low-cost networking hardware and shared storage. Share sequences and complete projects – with no need for a costly central server and asset management system. XPRI NS isn’t just a powerful standalone NLE. It’s also the perfect editing client for Sonaps, the end-to-end networked production environment from Sony that integrates planning, acquisition, editing, playout, distribution and archive into a single, seamless file-based workflow. The models listed below are tested and form part of the QA cycle in the factory for XPRI NS and XPRI Team V5.4 software. Sony can guarantee the operational performance of the XPRI software if these specific modes are used. However, it is impossible to test every available Workstation and Laptop on the market, so this information should be used as a guideline to the machine type and specification required to run XPRI NS and XPRI Team in a reliable way. Sony cannot, however, provide any guarantee of performance if models other than those tested are used. Germany's most trusted and forward-looking information brands uses Sonaps to introduce journalist editing.